In 2000, we began research on the historical context and current state of Canadian children's illustrated books in English and the history of publishing for children in Canada from an interdisciplinary perspective. The three-year project, from 2000 through 2003, located at the School of Library, Archival and Information Studies at The University of British Columbia, was supported by a research grant from the Social Sciences and Humanities Research Council of Canada. Grants from the Moss Rock Park Foundation, the UBC HSS Research Grant, IBBY-Canada, and the Bibliographical Society of Canada enabled us to continue our research. The result, Picturing Canada: A History of Canadian Children's Illustrated Books and Publishing is available in May 2010 from the University of Toronto Press. 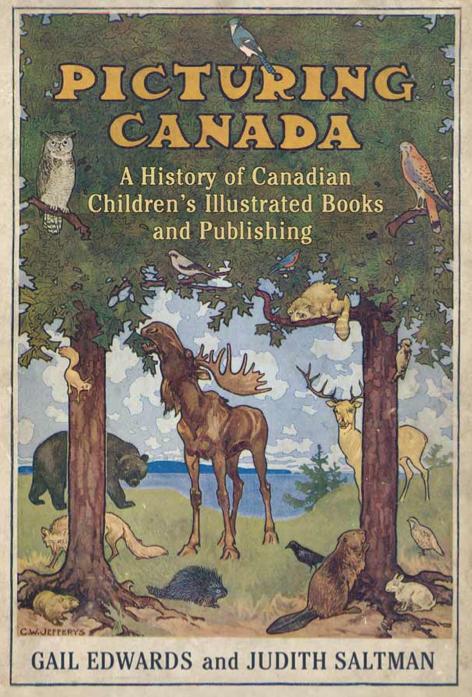 Picturing Canada: A History of Canadian Children's Illustrated Books and Publishing is the first interdisciplinary history of children's publishing and children's book illustration in Canada. We document the development of indigenous publishing for children in Canada and identify commonalities and changes in the depiction of Canada in children's illustrated books over a two hundred year period, interweaving Canadian history, literary history, publishing history, the history of illustration and design, the histories of Canadian childhood and education, and the gendered history of children's librarianship. This website provides information about the research project and the research team, and provides hundreds of annotated resources on aspects of Canadian children's books, international illustration, and children's publishing in Canada, as well as links to electronic resources, and a searchable database of award-winning Canadian children's illustrated books. We wish to acknowledge the contribution of Ann Blades, an award-winning author and illustrator, who has generously allowed us to include some of her art on this website, and Kathryn Shoemaker, who created original art for the website. We would also like to thank the Rare Books and Special Collections of the University of British Columbia Library for permission to use illustrations from early Canadian children's books.